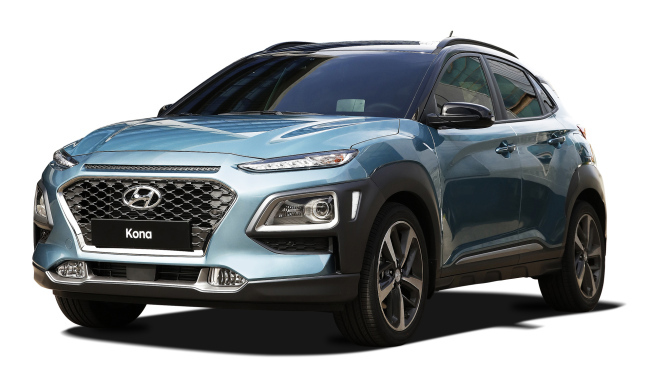 Hyundai Motor’s compact SUV Kona was named the car of the year by a Spanish national daily newspaper, beating Peugeot’s 508 and Honda CR-V, the company said Wednesday. According to ABC, the newspaper based in Madrid, Kona topped the list with 312 points, followed by Peugeot 508 and SEAT Arona, with 264 and 182 points, respectively. Also by a UK-based auto magazine Next Green Car.com, the electric version of Kona was named the car of the year and the family car of the year, citing its reasonable price and longer driving range that is compatible with other luxury electric vehicles by Tesla and Jaguar. The publication has also named the South Korean auto giant as the car manufacturer of the year, on recognition of its efforts on electric car development. In US, 12 vehicles by Hyundai Motor and its sister affiliate Kia, were listed on top safety pick plus models after comprehensive collision tests conducted by Insurance Institute for Highway Safety, the company said. The list includes all Genesis sedans – G70, G80 and G90 – and Niro series and Kona.